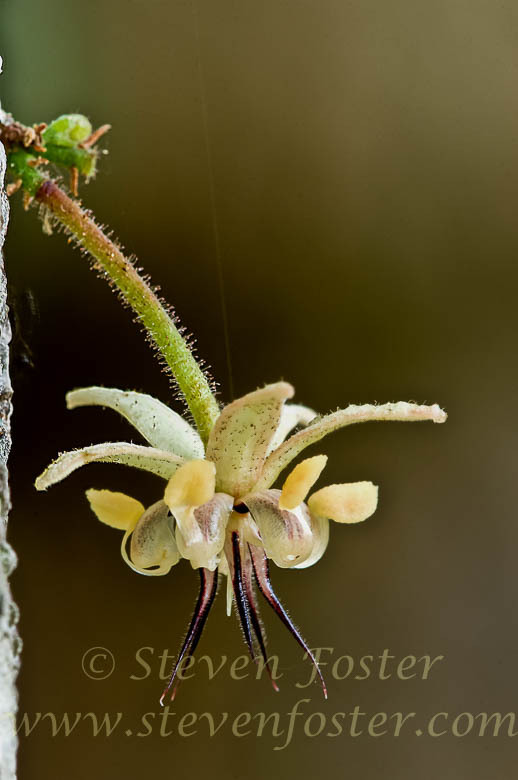 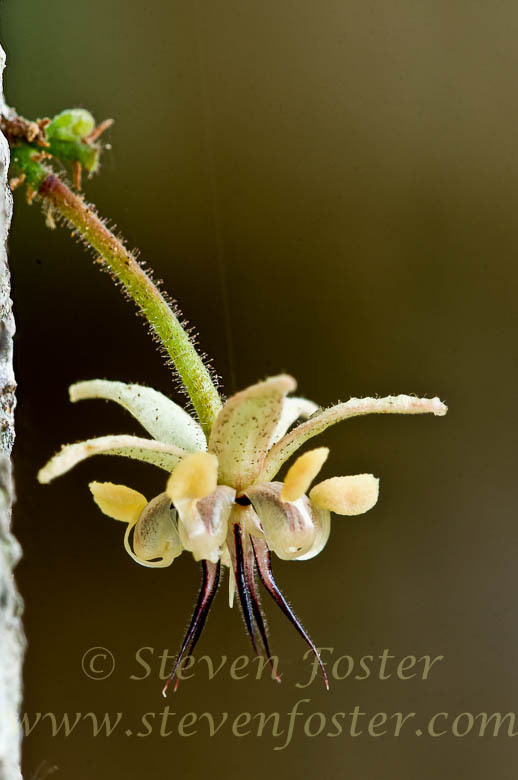 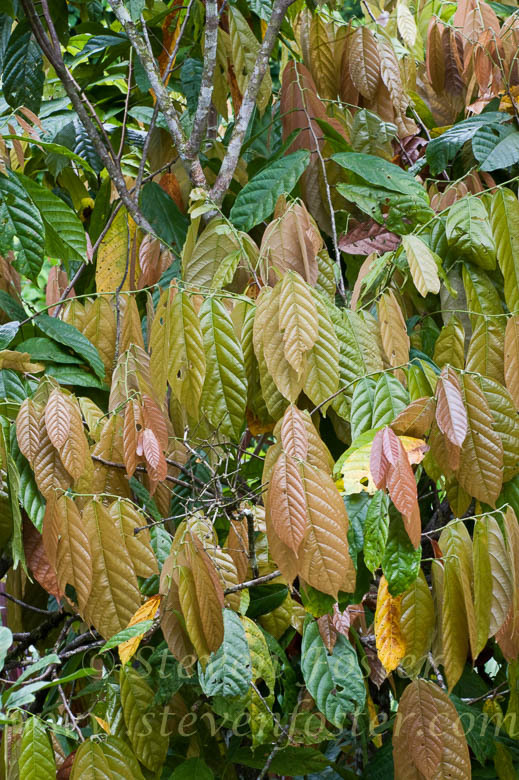 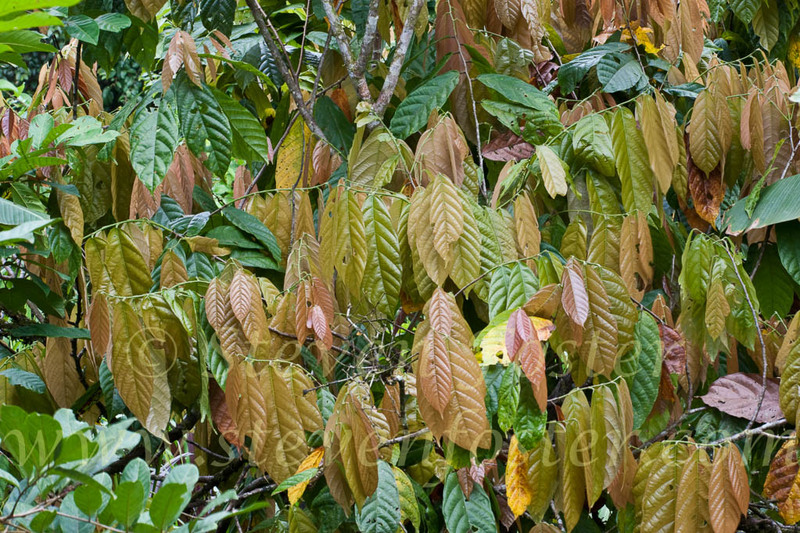 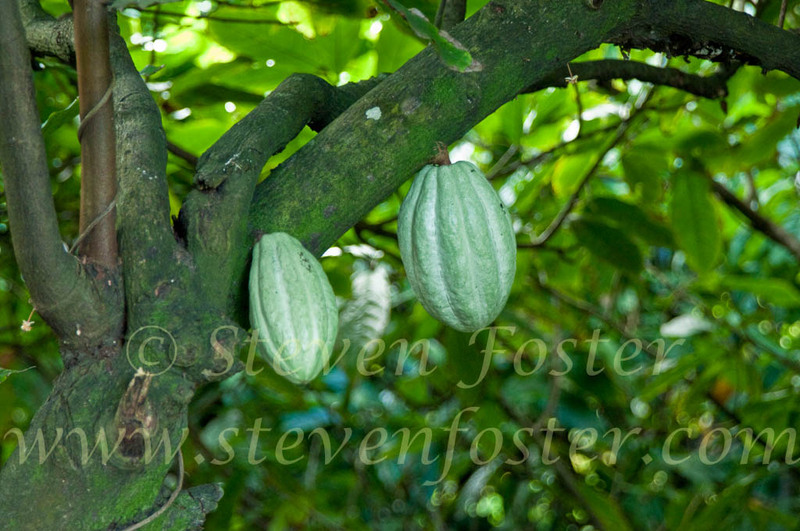 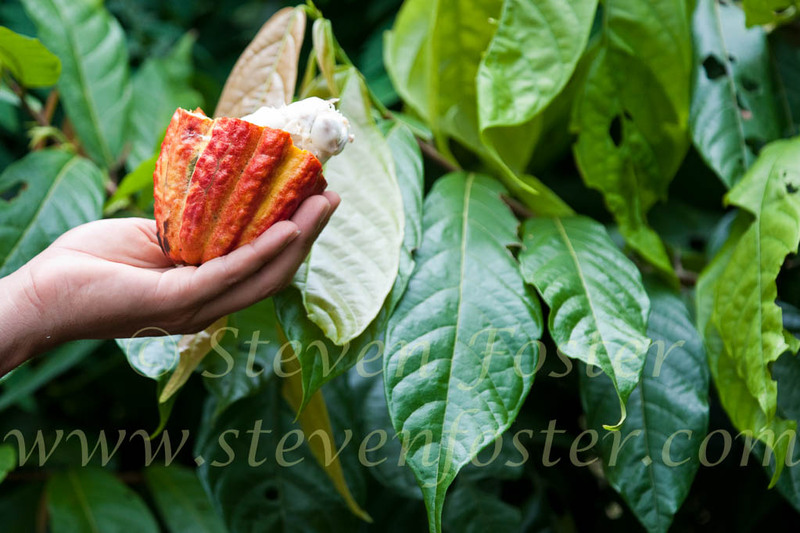 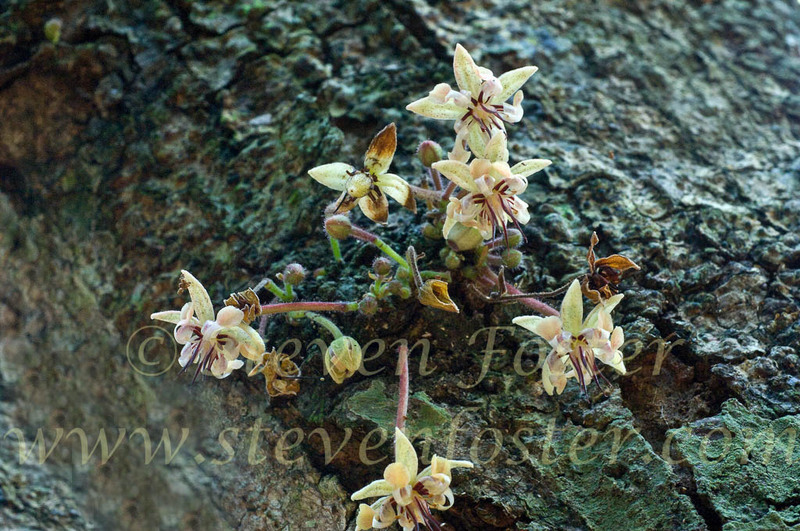 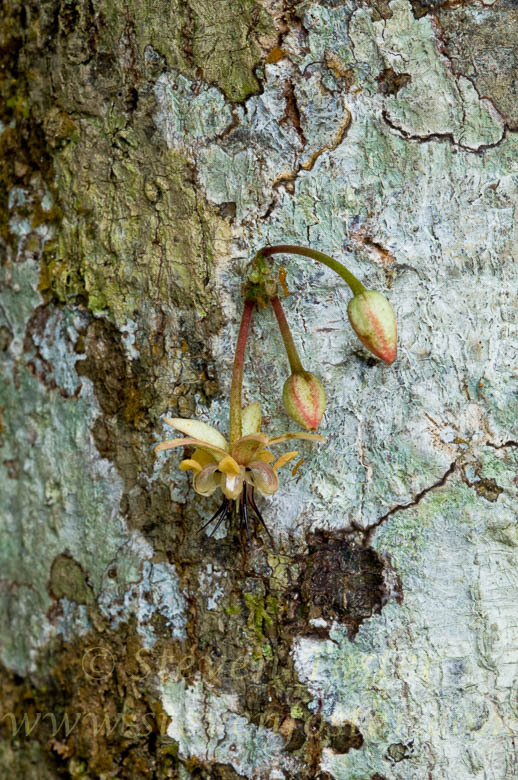 Photos of Theobroma cacao, Chocolate, Cacao. 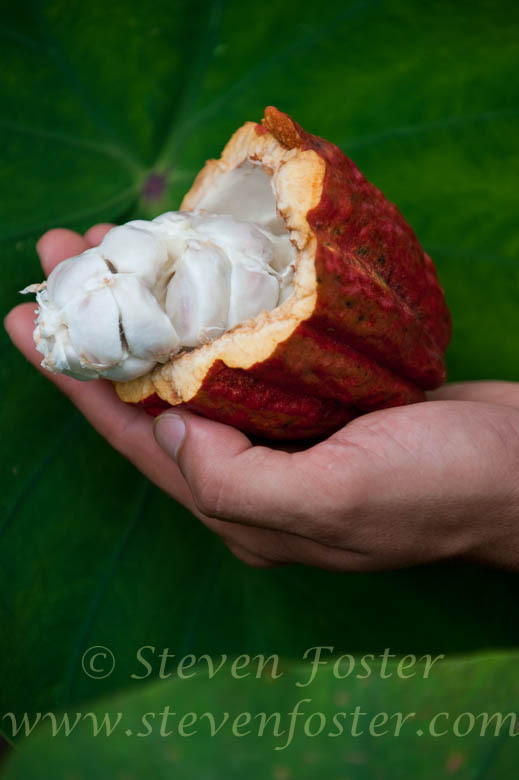 Theobroma cacao, Chocolate, Cacao, Cocoa. 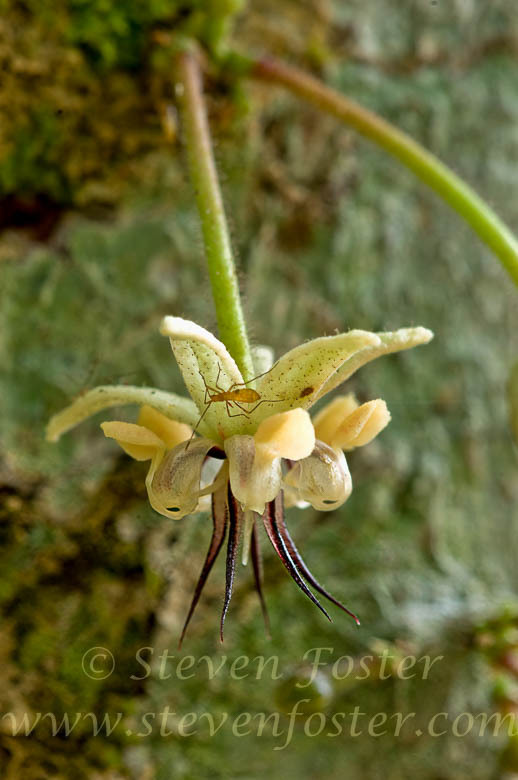 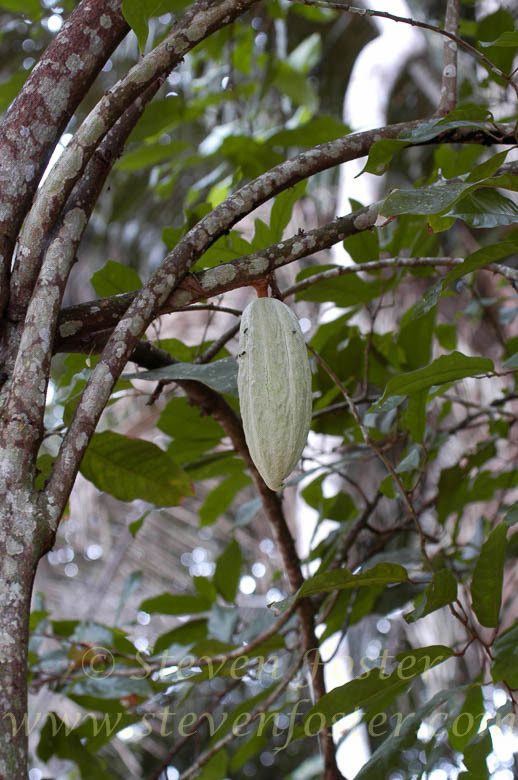 The oblong, ten-ribbed fruits, yellow to purplish-brown when ripe, hold the coca beans, each encased in a light mucilaginous pulp. 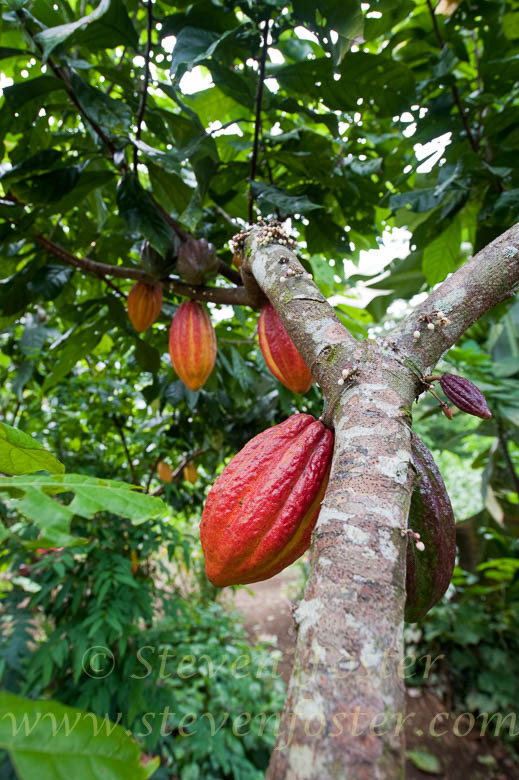 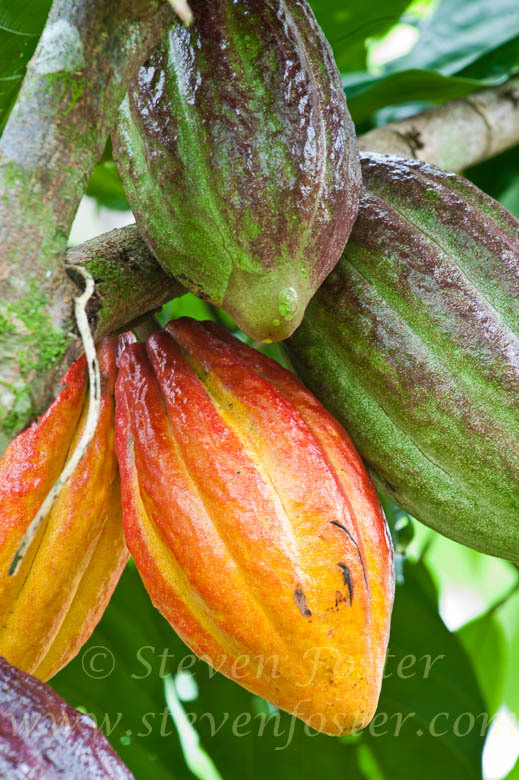 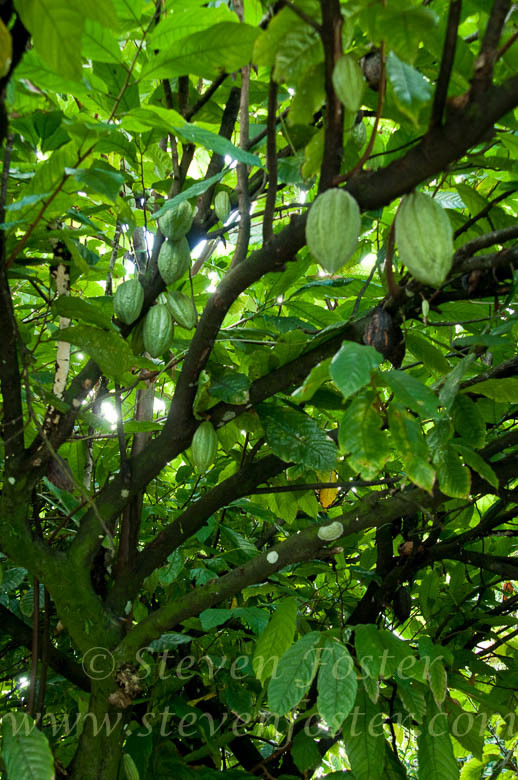 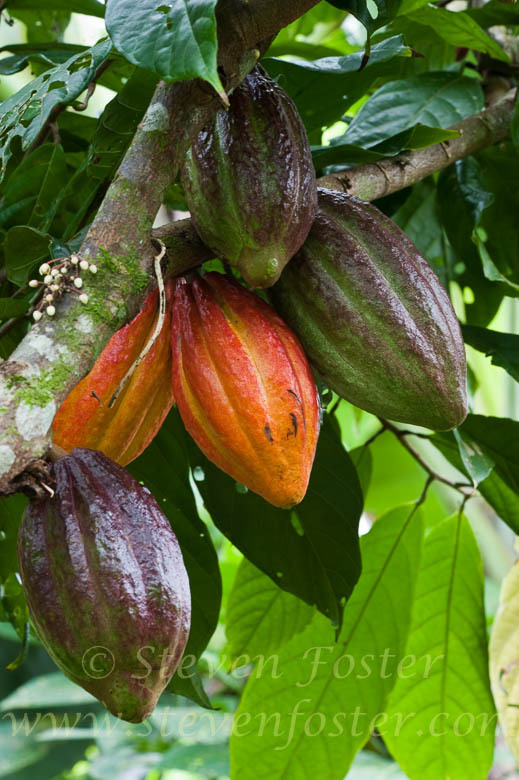 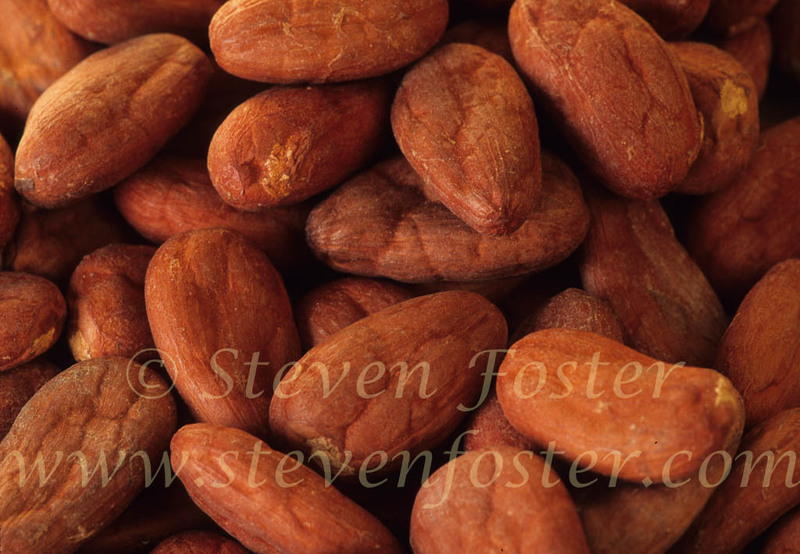 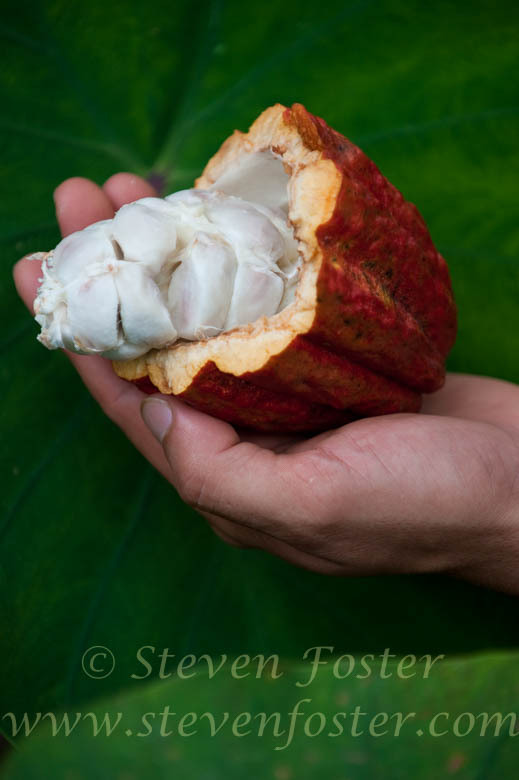 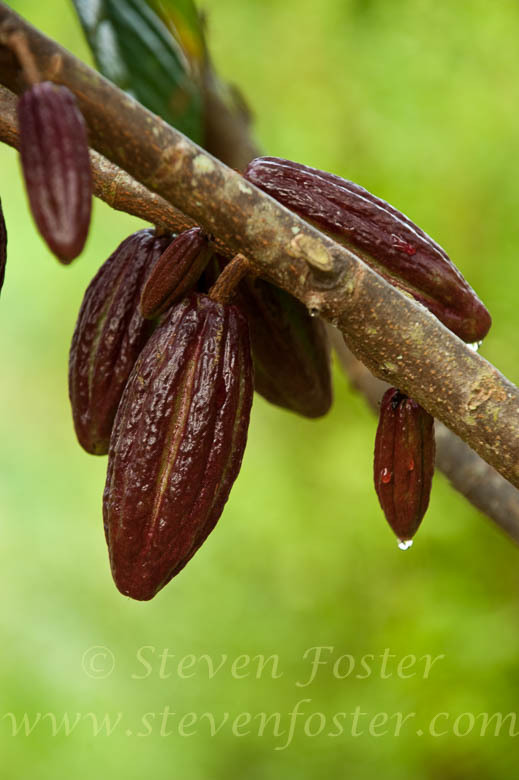 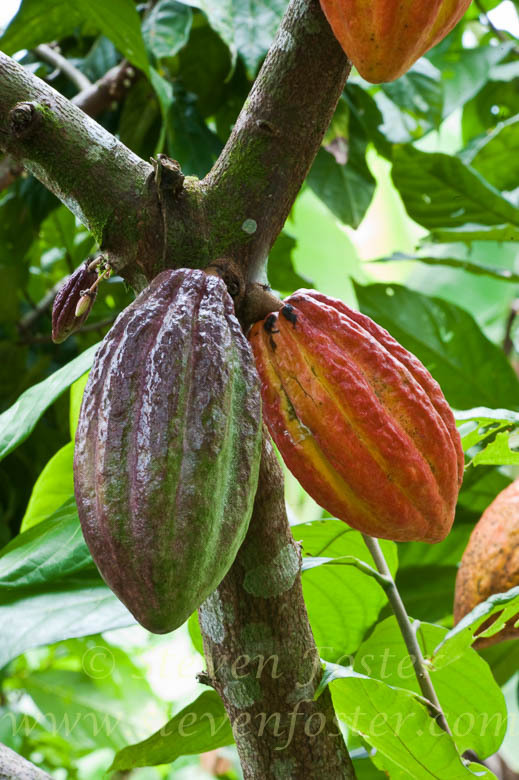 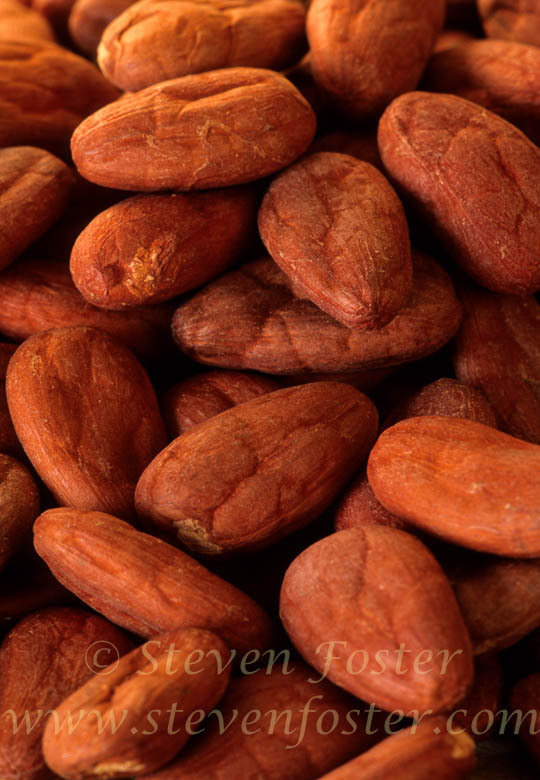 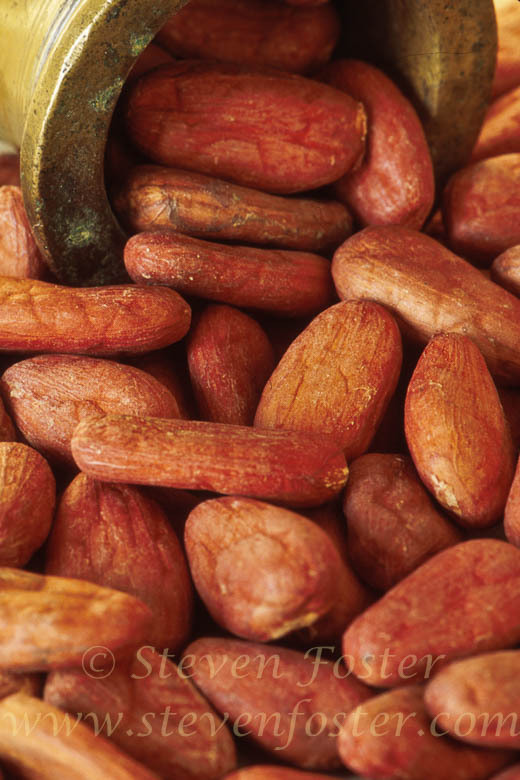 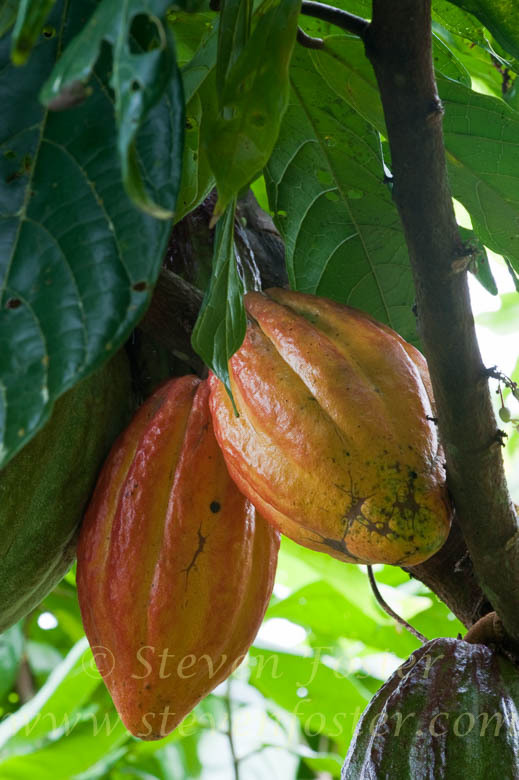 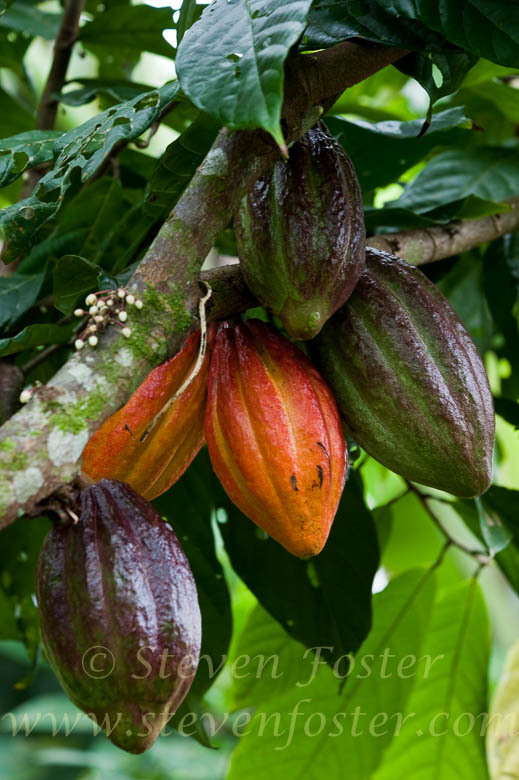 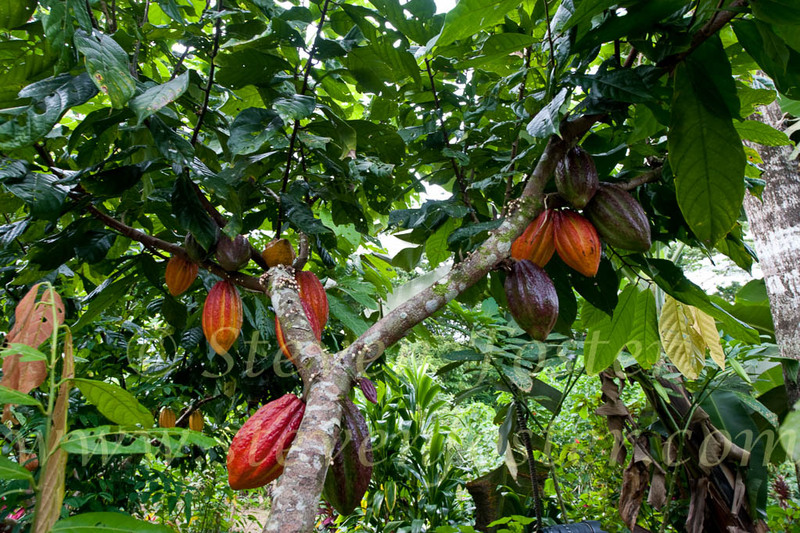 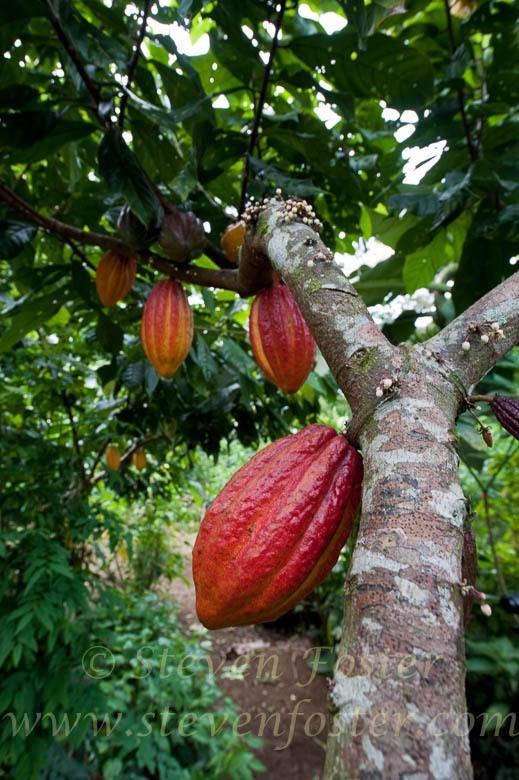 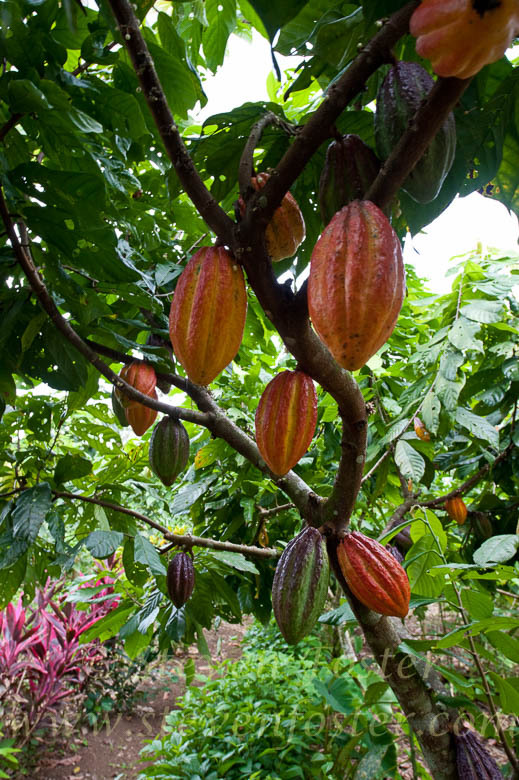 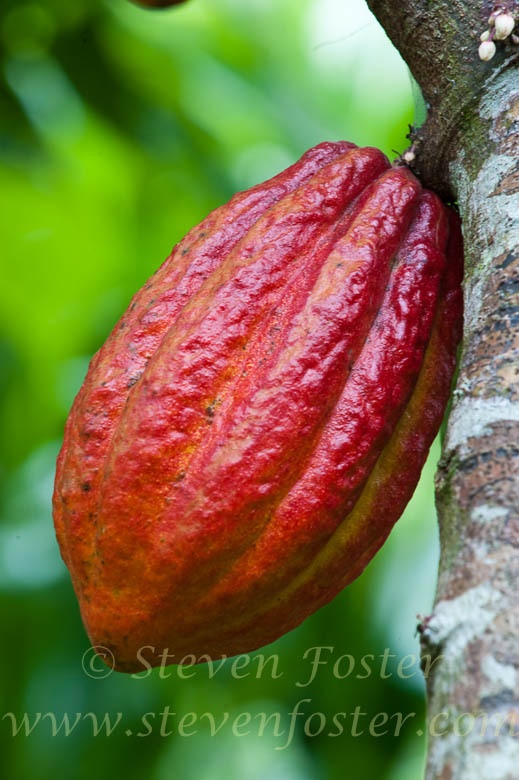 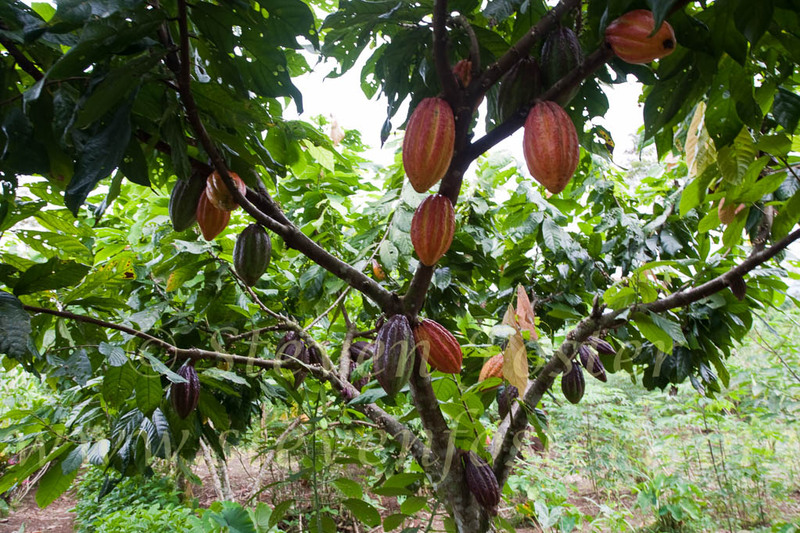 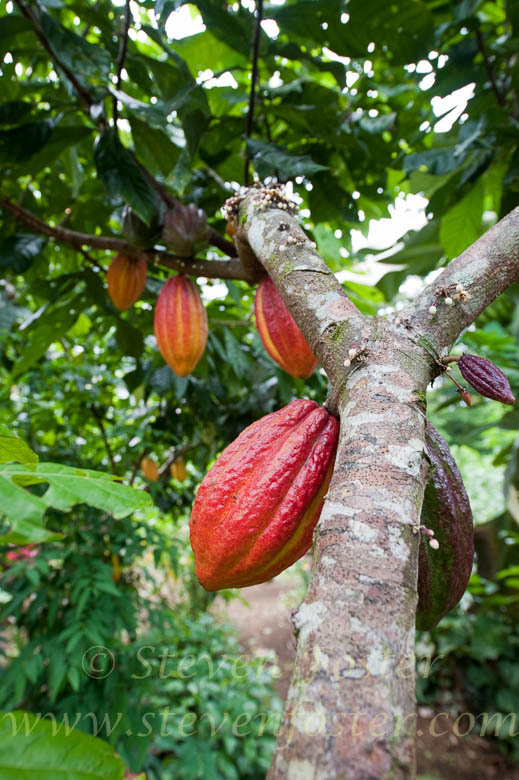 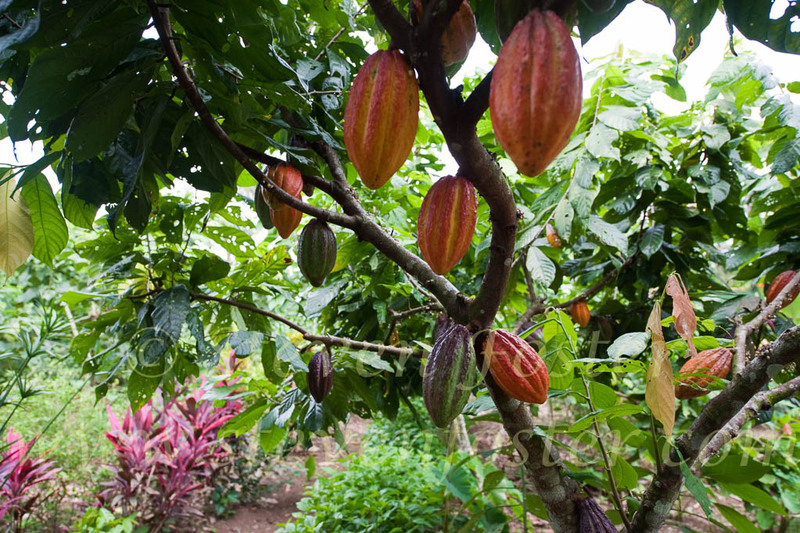 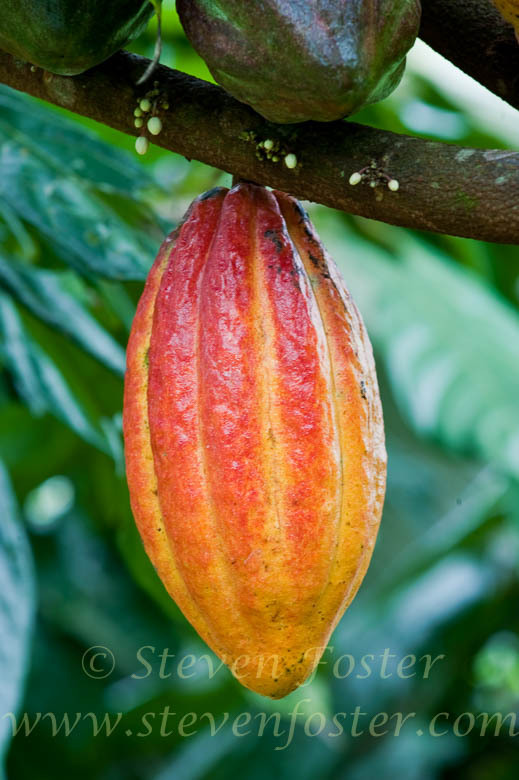 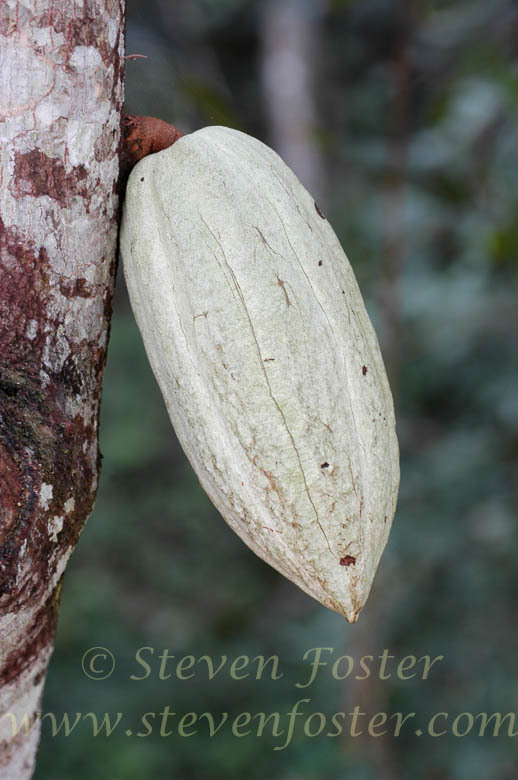 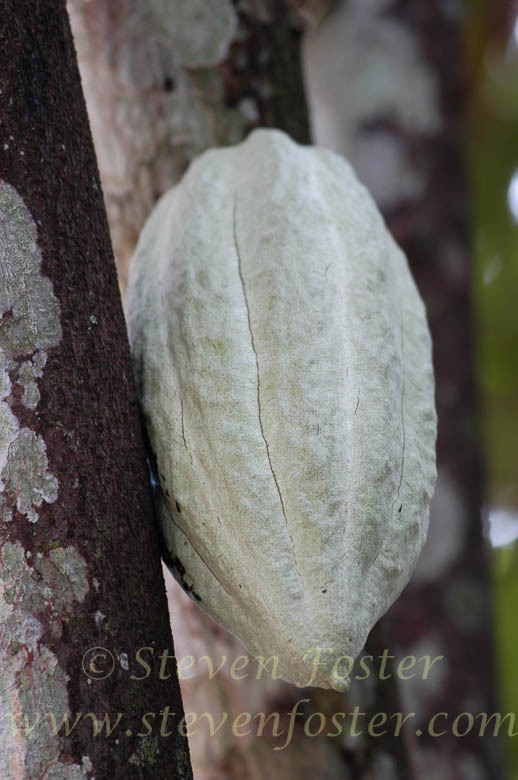 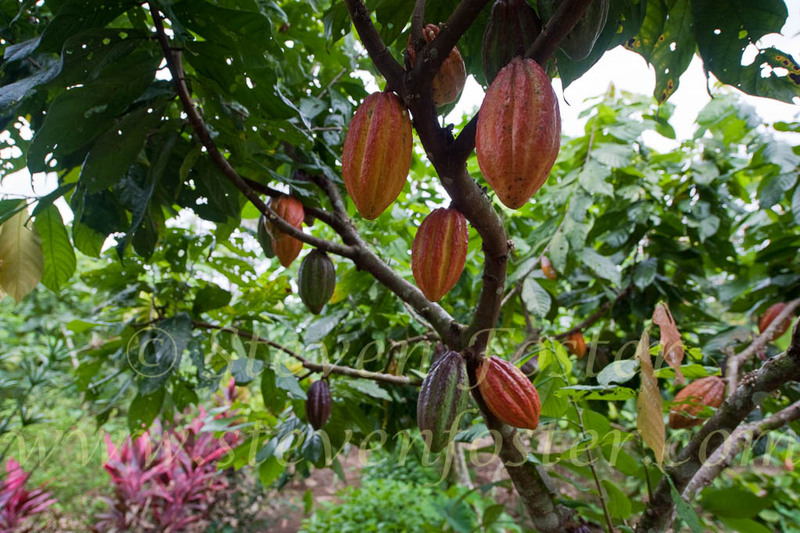 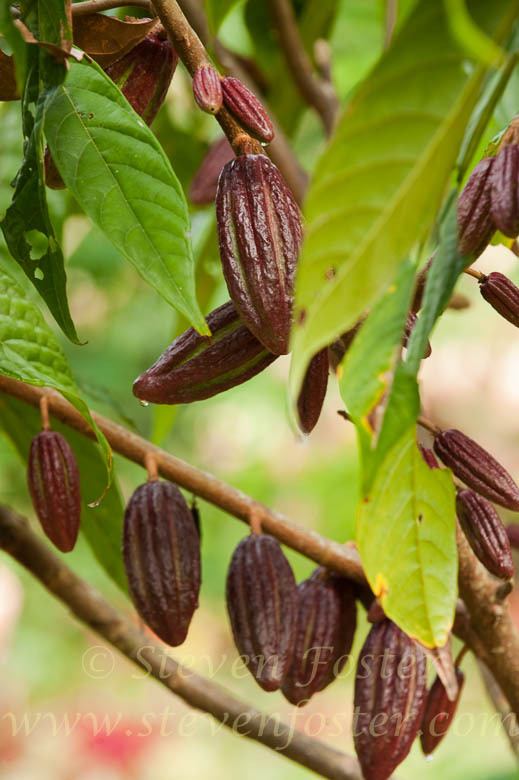 During the manufacture of chocolate, fatty cocoa butter (an oil) is separated from the cacao "beans" (seeds), and the dried, protein and alkaloid-rich powder from the separation process is commonly called cocoa or cacao. 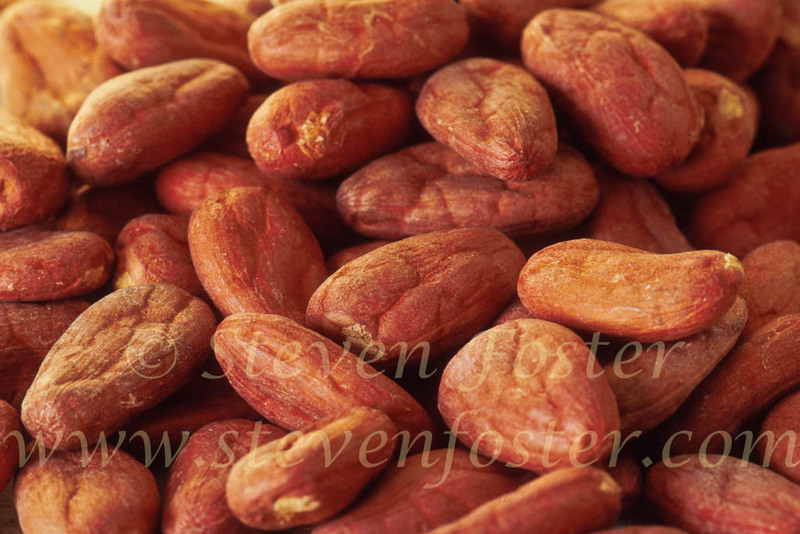 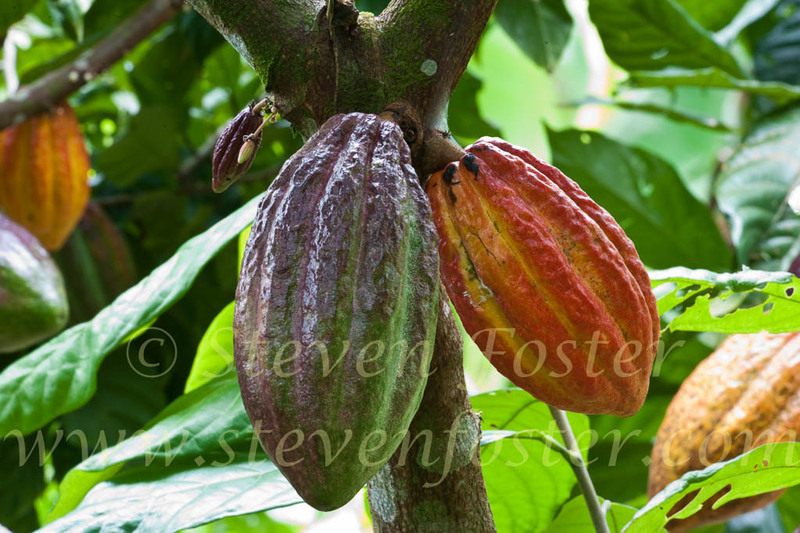 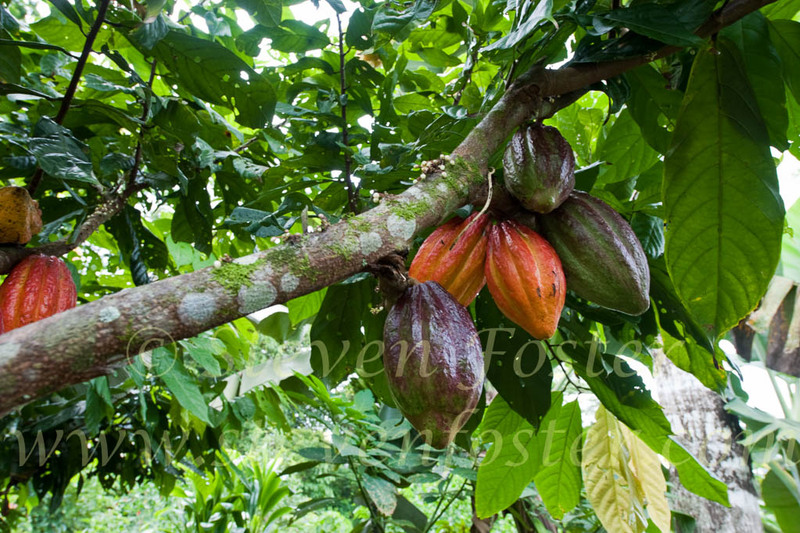 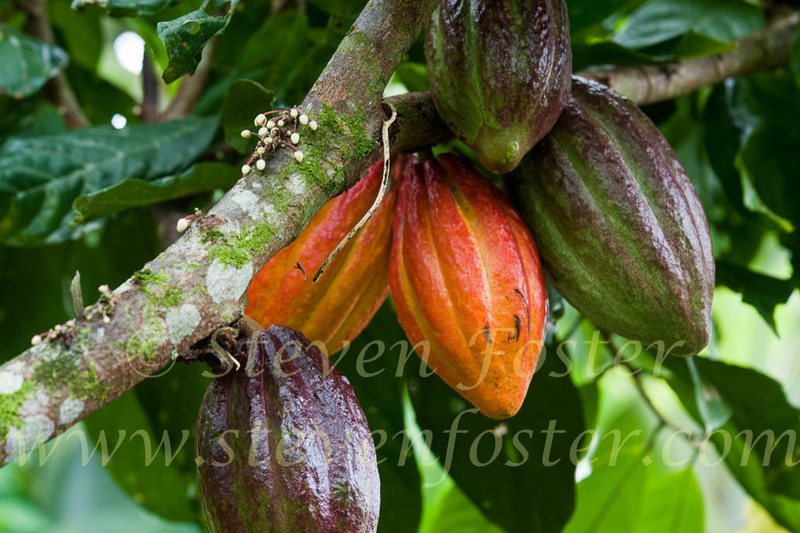 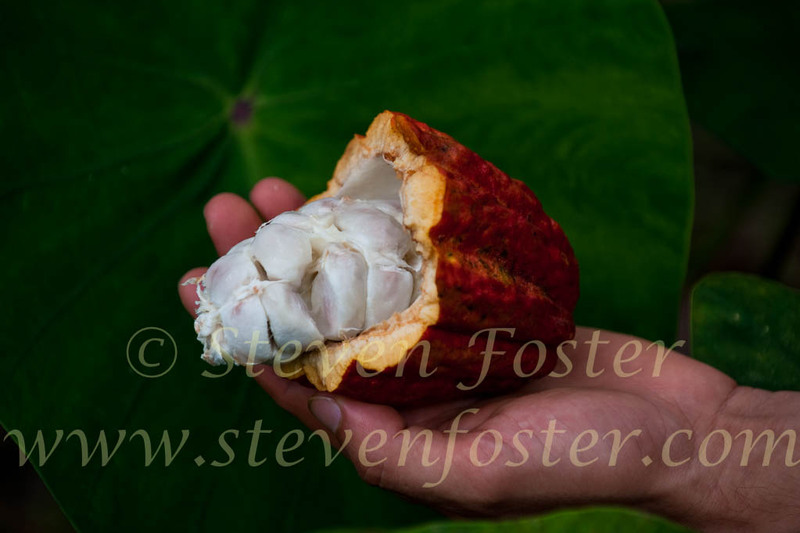 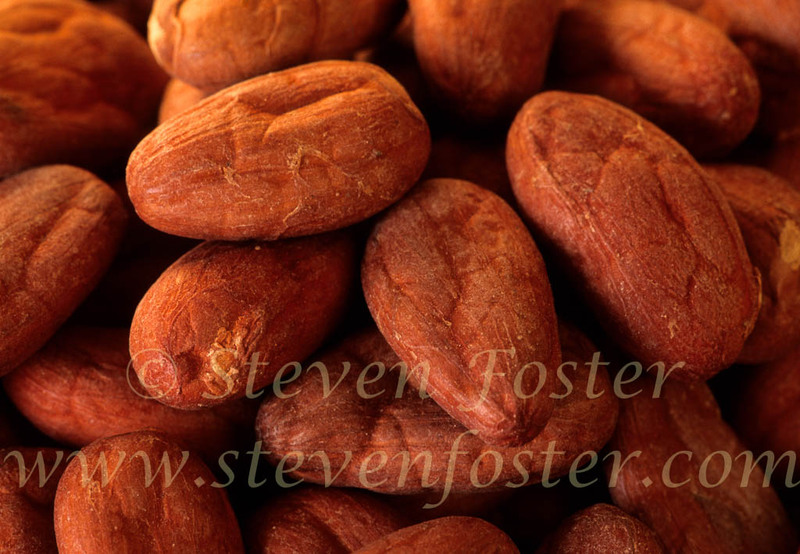 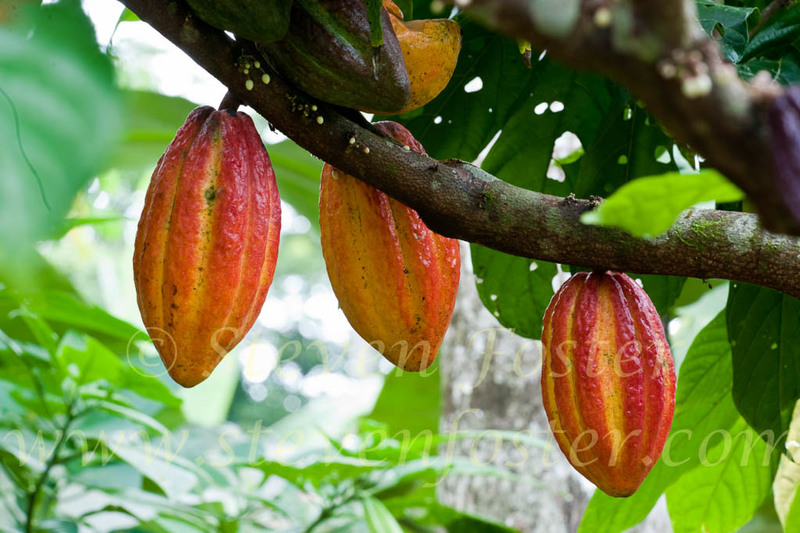 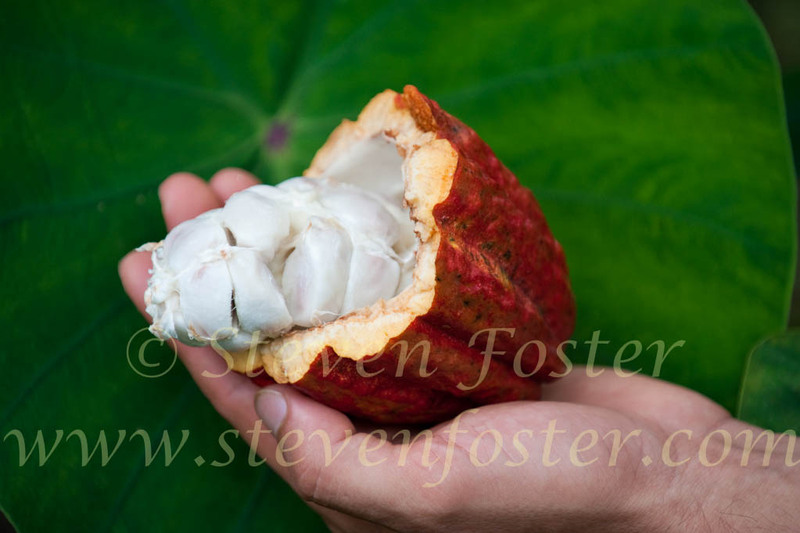 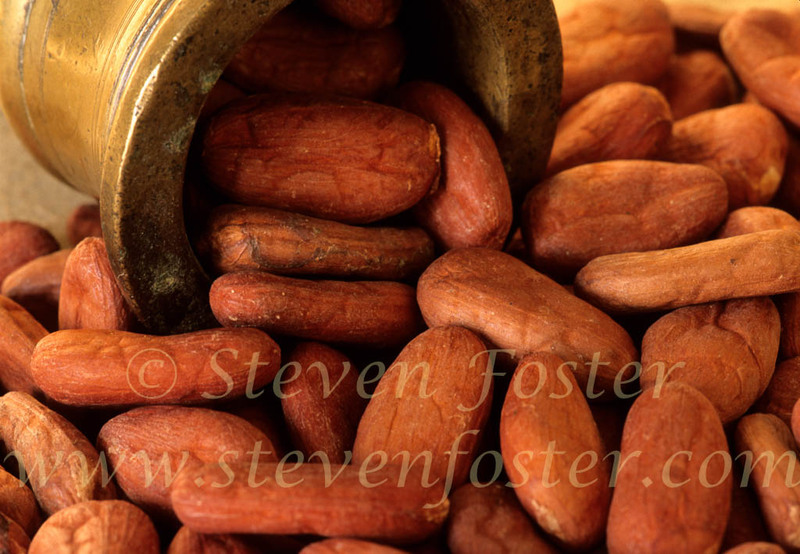 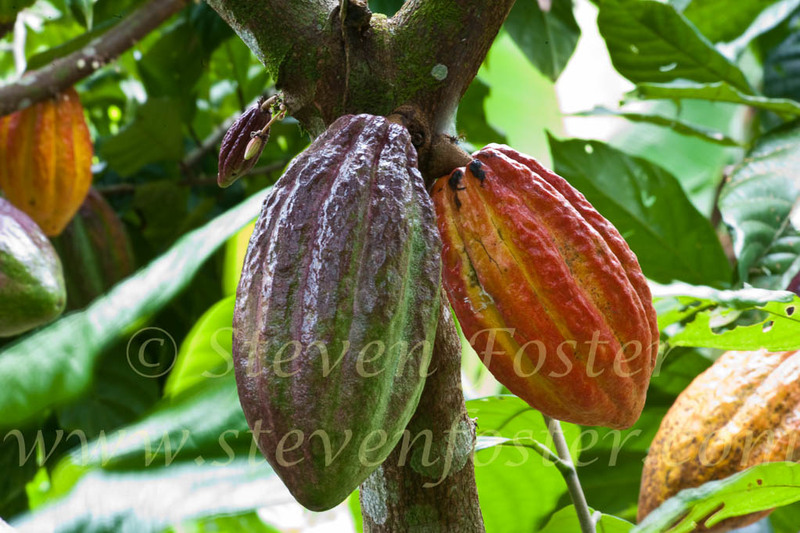 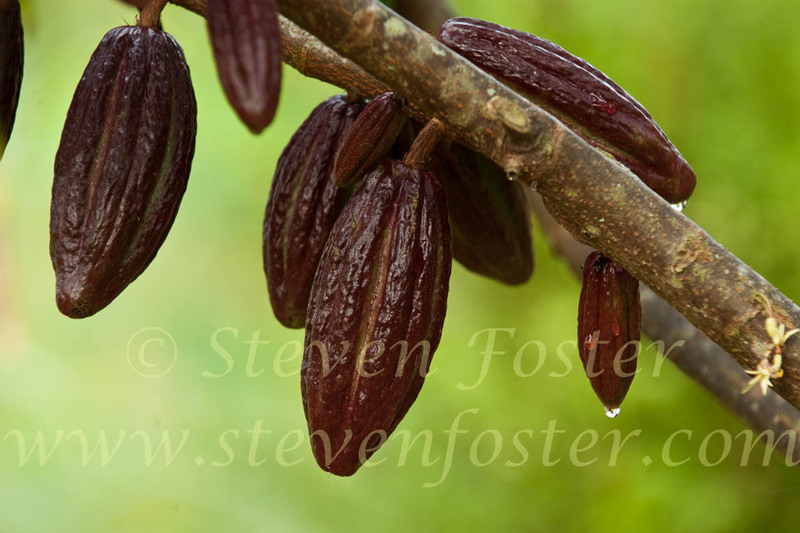 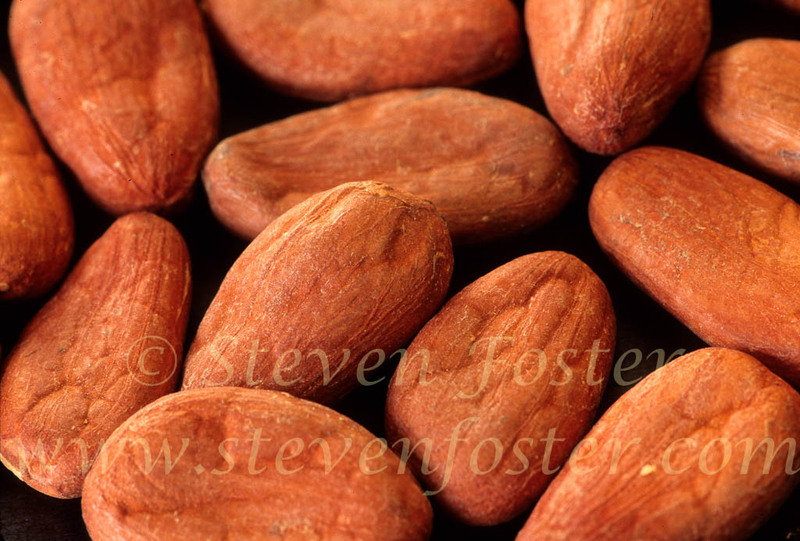 Chocolate is of tropical American origin and cultivated by the Mayans for thousands of years. 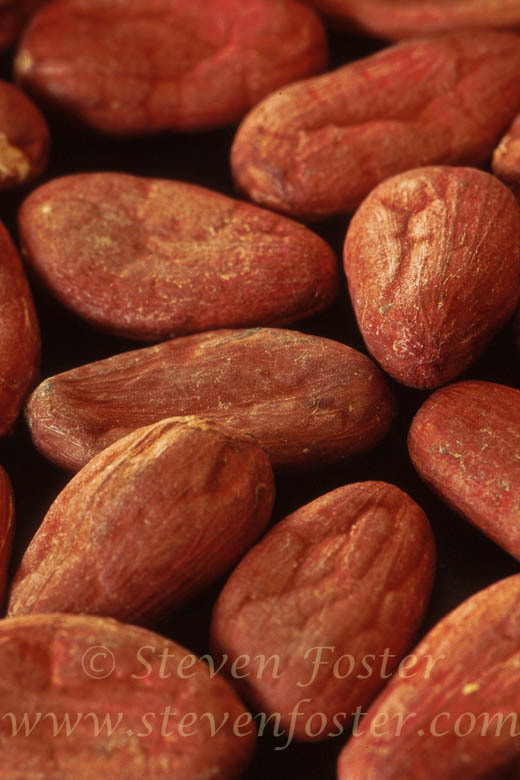 It was widely grown by the Aztecs. 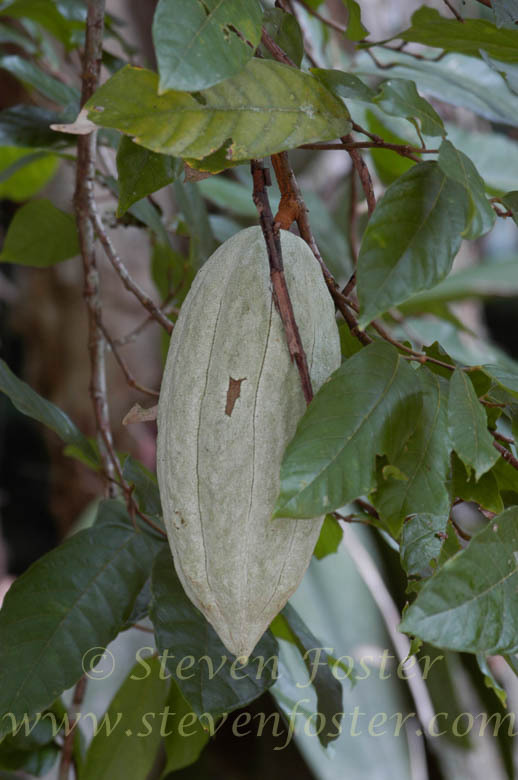 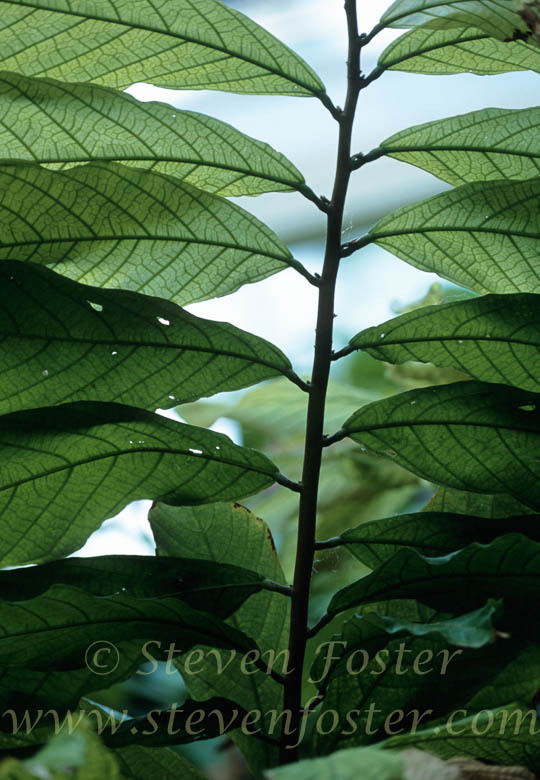 Into the 1850s, the seeds were used as currency. 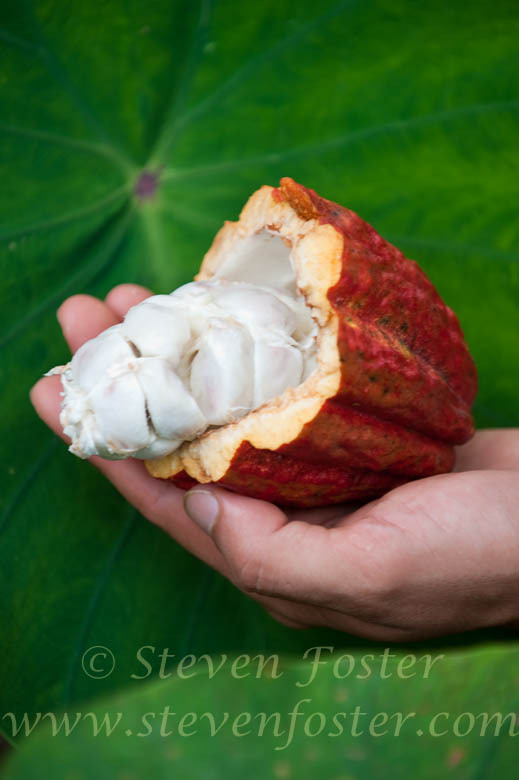 Cacao and its many products have once again taken their rightful place as the “gold standard” of health foods—the food of the gods.